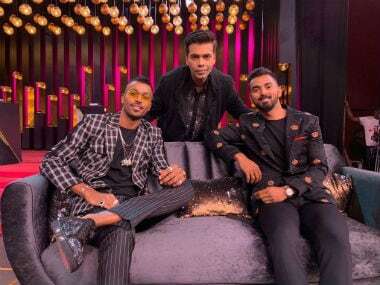 New Delhi: Hardik Pandya is a certainty in India's playing XI because of the balance he brings in as a seamer all-rounder but a lot of experts feel that the Baroda player may not be Virat Kohli's choice for the new ball. The general feeling is the length that he hits is not conducive for English conditions. Pandya, after his tour to Australia with the India A squad, has increased a few yards but if one looks at his bowling statistics, the only time he completed his quota of 10 overs in an ODI was against England at Kolkata where Eden Gardens offered seam movement. In the seven ODIs that he has played, Kohli has given Hardik something between five to seven overs. More importantly, in 17 IPL matches this season for Mumbai Indians, their skipper Rohit Sharma used him in 26 overs, which is not even two overs per game. Ahead of the ICC Champions Trophy, he was the odd one out during the first warm-up match, against New Zealand, giving away 49 from six overs, bowling mostly short. He was hit for six boundaries and a six — mostly by Luke Ronchi and Kane Williamson. Something that would be noted by Kumble and Kohli is that Hardik was finding it difficult to change his length. And that's where experts feel that Kohli needs to take a call on whether to give Hardik the new ball when he has Bhuvneshwar Kumar, Mohammed Shami and Umesh Yadav to choose from. Another certainty, Jasprit Bumrah, normally bowls with the semi-new ball. India's 1983 World Cup hero Madan Lal feels that Hardik needs to use a "bit of brain". "His natural length is short and that he has to quickly alter in England. If he bowls the kind of short pitched stuff he bowled today, batsmen will punish him. He has the pace, the built and attitude of a fast bowler. But till now the little I have seen of him, he needs to use a bit of brain and be more consistent," Madan Lal told PTI during a chat. His choice for the new ball is Bhuvneshwar and Umesh. "They are the ones who bowl the ideal fuller length deliveries and can get it to swing both sides. Umesh bowls at 140 plus and these two have the ability to take big wickets -- an absolute must in big-ticket tournaments," Lal said. Unlike Lal, former India wicketkeeper Vijay Dahiya wants Mohammed Shami to pair up with Bhuvneshwar. Dahiya feels Hardik could be used as the third or fourth seamer. 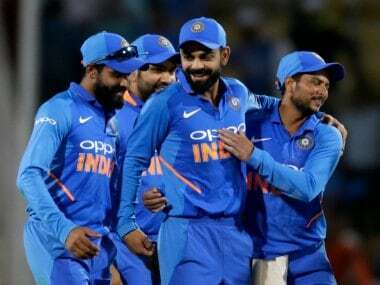 "The current Indian team is blessed to have four quality limited overs bowler. My new ball choice would be Shami and Bhuvneshwar. 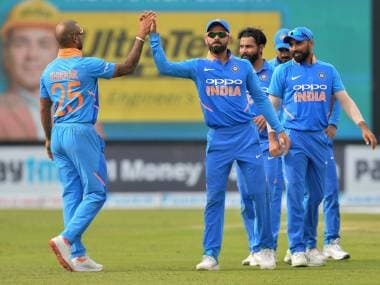 Jasprit is fantastic as one change as he has great control with the semi-new ball (considering two new balls used)," Dahiya said. "I don't see Hardik getting a new ball. He is a certainty in the side as playing four fast bowlers would mean a long tail. He is your ideal No 7 batsman but you can use him for 4-6 overs depending on the situation. His big-hitting abilities and positive mindset is required," the former Delhi and KKR coach said. For Deep Dasgupta, another former India stumper and currently an analyst, the number of overs in the IPL will not be a factor even though he agrees that the all-rounder needs to tweak his natural length as per the conditions. rounder. I don't mind Hardik being given the new ball first up if he can get it a bit fuller. But in any case, he has not regularly got 10 overs as his role is not that of a specialist fast bowler," Dasgupta said. But can he get swing if he doesn't pitch it up, Dasgupta said: "It doesn't matter if you look at the pitches that are on offer for the Champions Trophy. Obviously, pitching it up is good but Hardik is someone who gets it to do a shade after pitching. "The problem for a first-timer in England is also the light. The sunlight and the occasional cloudy skies also plays a part in your planning. But again Hardik is your fourth or fifth bowler and that's how he should be perceived," he concluded.